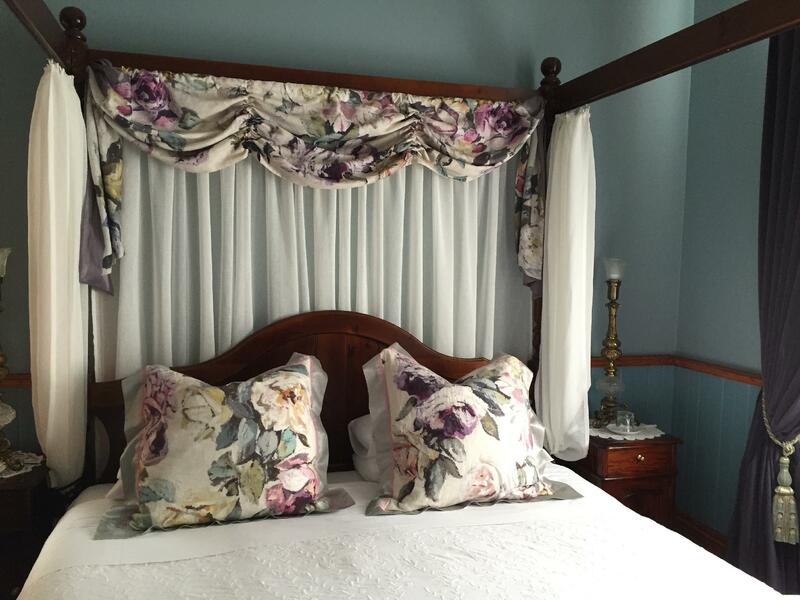 سواءً كنت مسافراً بغرض السياحة أو العمل, Kurrara Historic Guest House هو خيار عظيم للإقامة خلال زيارتك بلو ماونتيينز. يقع الفندق على بعد 1 km من مركز المدينة، ويؤمن الوصول إلى أهم مراكز المدينة. بالنسبة لمن يريد الخروج، هذه بعض المعالم السياحية المتوفرة للزوار Leura Cascades, تشكلات الأخوات الثلاث الصخرية, The Carrington. إن الخدمات الممتازة وحسن الضيافة العالي في Kurrara Historic Guest House تجعل إقامتك تجربة لا تنسى. لضمان راحة ضيوفه، يقدم الفندق الخدمات التالية: واي فاي مجاني في جميع الغرف, مدفأة, مرافق مخصصة لذوي الاحتياجات الخاصة, تسجيل دخول/خروج سريع, تخزين الأمتعة . تعكس غرف الفندق البالغ عددها 8 المنتشرة في 2 طوابق جواً من الدفء والألفة.خدمات عصرية مثل تلفزيون بشاشة مسطحة, سجاد, بطانية كهربائية, بياضات, مناشف موجودة في بعض الغرف المختارة. صممت خدمات الاستجمام في الفندق والتي تتضمن مسارات المشي, حديقة, غرفة ألعاب لمساعدتك على الاسترخاء والراحة. يشكل Kurrara Historic Guest House بخدماته الراقية وموقعه الممتاز، قاعدة مثالية للاستمتاع بإقامتك في بلو ماونتيينز. Very cozy history guesthouse, location is extremely perfect, they provide simple and nice breakfast, also if you like tea, they provide any kind of brand and choices of tea for you. The room decor is really cozy and nice. The actual house is gorgeous, love the interior and the cleanliness of guest room. It is bit far walk to find dinner but we have car so no problem at all. We would definitely stay here again if we have chance to explore Blue mountain again. 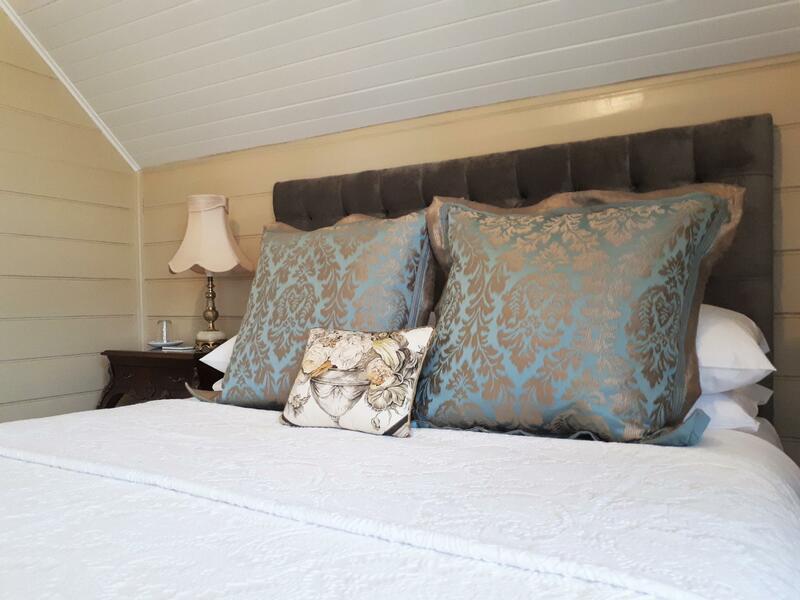 Kurrara is charming and comfortable and perfectly located for a stay in the Blue Mountains. the staff were very welcoming and the location was convenient yet peaceful. I hope I will be able to come back some day! Breakfast was simple but very nice and my room was perfect. It is an amazing experience staying here. The architecture of the building will definitely bring you back to old Australian feel. Snacks and drinks are available whole day. They also provide a vast choices of DVDs and books for us to choose. Each room is provided with a DVD player. Staffs are friendly and helpful. It's location is nearby to The Lost Bear hop-in, hop-up bus stop that will bring you around Blue Mountain. Highly recommended. Will surely be back to this guest house next visit. Very limited choice for the breakfast, the only hot item is the boiled eggs. 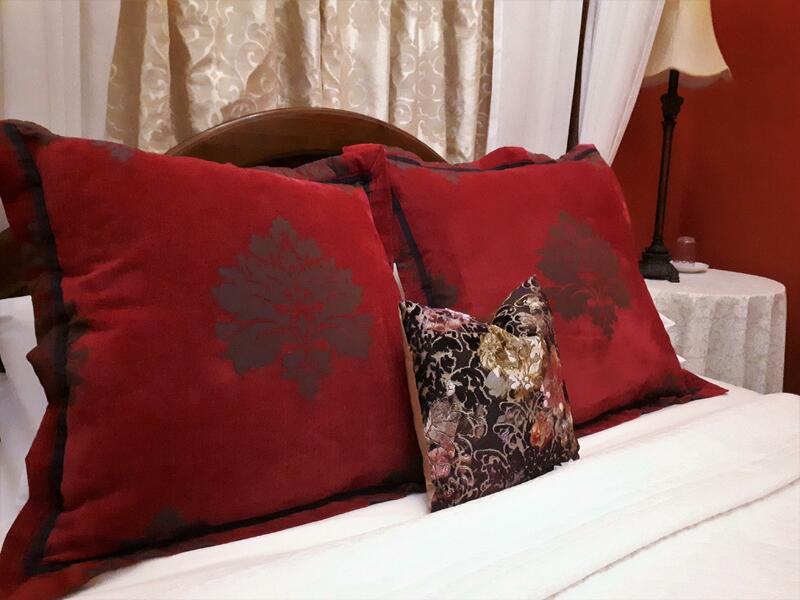 While the downtown area is hustle-bustle, Kurrara Guest House is just far enough out of downtown so that it is a peaceful reprieve, yet close enough to walk to many things. It is just a couple of blocks from the main entrance to Echo Point and the Three Sisters. The rooms are quaint and each has its own bathroom. The morning breakfast is delicious with fresh croissants, great coffee, fresh fruit and homemade granola. We loved it! Lovely old guest house. 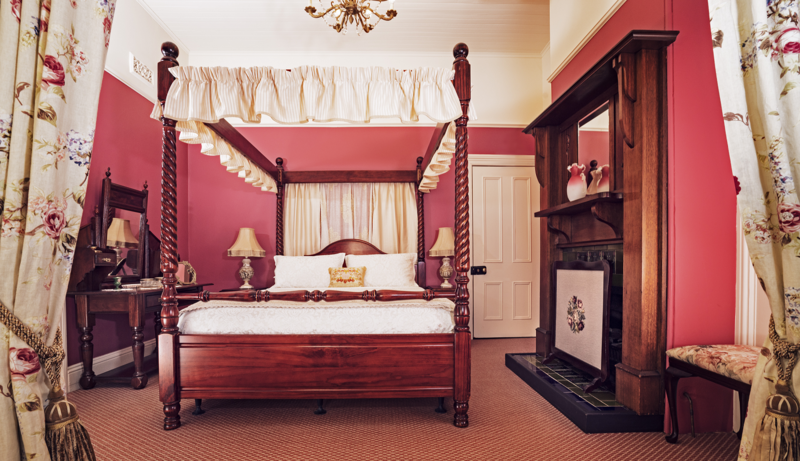 The owners have stayed true to the period and their fittings and furnishings are wonderful. Afternoon tea and cake very welcome. The port in our room a lovely touch. Very tasty breakfast. Would definitely recommend. The guest house was a lovely old building beautifully furnished. The owners were very hospitable and the breakfasts were delicious. There were also several extras such as afternoon tea and cake, chocolates and complimentary port.. Altogether a very enjoyable three nights. Nice rooms, amazing breakfasts and a great afternoon tea. Our hosts were friendly and helpful. It's an easy walk into the main part of Katoomba, the only letdown was having to leave! Highly recommended. 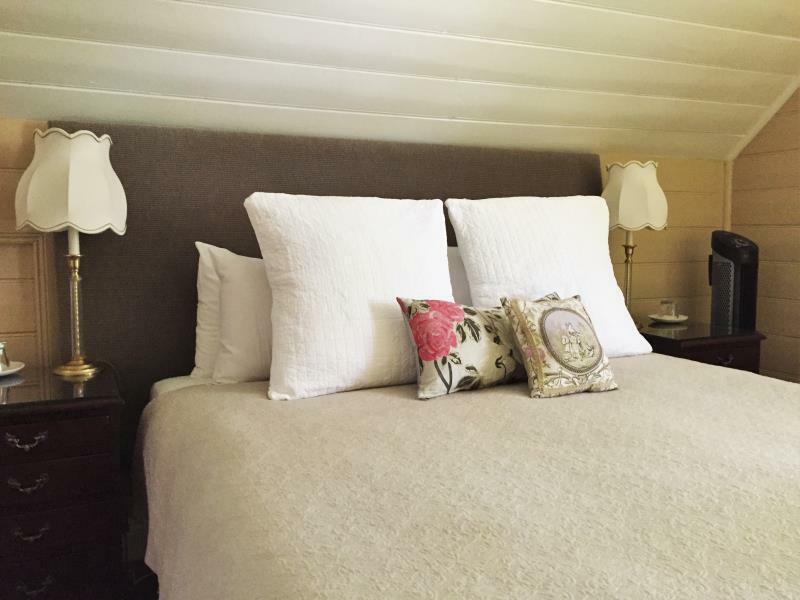 Very cute heritage B&B with all the amenities you would expect from a modern hotel. Located a bit away from Katoomba town centre but it is close to a few points of interest such as the blue mountains chocolate shop. Included breakfast is vegetarian which offered a wide range of teas and jam. The dining room can be visited at anytime for tea, coffee, biscuits etc. There was also a good range of quality dvds available to borrow during our stay. The quaint bedroom was very charming but small so there wasn't much space to place our belongings. Overall, we enjoyed our stay. Got a last minute deal for a one night stay. The property was easy to find, had on site and street parking. We were very warmly greeted. Immediately noticed how clean the property was. We were shown our room, room facilities, shared facilities and where breakfast would be. Very friendly and chatty staff - gave us a brief history of the house. Great location - max 10 min walk to Katoomba town centre. Comfy bed, huge selection of DVDs and breakfast was fab!! Loved our stay and would definitely go back!! We all had a lovely stay at Kurrara. Beautiful clean rooms and the bedding was Lux. Ian, the owner creates a very nice continental breakfast with lots of choice. Stephanie at reception was lovely and fixed up my stuff up re: date/s very quickly. We loved Kurrara and will be back. Beautiful, distinguished and everything you need and more, only problem was thin walls but was to be expected being a historic house. Would highly recommend this guest house, I didn't want to leave! Amazing! The rooms are clean, but you have to ask for room service even if you're staying for more than 2 nights. Rooms can be a little small. No aircon and central heating may be off during the day. Breakfasts are average, a few different type of bread to choose from with cheese and tomato slices. There are some fruits but not cut up so people don't really touch them much. No eggs or meat and there's no fridge in the room which makes it a bit hard if you're planning to do some serious hiking during the stay and need more food to keep you going. Same breakfast everyday. Lounge areas are very pretty and comfy. Easy off street parking. Overall a pleasant stay. Comfy rooms, port in the evenings! Kurrara is a very cozy old guesthouse. The downside of that is the rooms are very small but that adds to the charm. The rooms are comfy and warm. The lounge room with a fire going and chock full of books and DVDs and port served in the evenings adds to the lovely experience. The staff were were very helpful, friendly and willing to give honest advise. The location was excellent, off main roads, and very quiet, but still close to all attractions. The continental breakfast was simple with a wide variety of options. Would thoroughly recommend the Kurrara Guest House to stay. We spent 3 nights, 2 of which were upgraded to pure luxury, of fun and relaxation. We recomend this guest house to all. The staff were warm and inviting, the rooms just excellent, especially the spa was a lot of fun,be careful not to overdo the bubbels. Service with so much more than just a smile. Location was great and the building itself was a little gem. We shall go back. As above. However, Bell on the back door didn't work so I went around the house which happened to have scared one of the staff cleaning one of the rooms as the appearance was sudden. She invited me into the guest room that she was cleaning to get through to the main lobby. However the owner was quite crossed with me for scaring his staff and entering someone's guest room, saying that I should have used the front door or the bell at the back door, which he later realise is not working. The hostility is definitely uncalled for. There is also no bathroom for common use as we were unable to check in up arrival at 10am. We were asked to use the bathroom at a nearby coffee shop which we ended up using the one at list bear museum, where the lady staff was extremely friendly. Kurrara could have been much more friendly in the above aspects.